For me, photography is a way to capture a reality not normally seen without the benefit of looking through a camera. Whether it’s an object or place that’s common or strange, large or microscopic, nondescript or indescribable, there is a value within or a story to be told, waiting to be captured. Photography allows a seemingly ordinary, unremarkable or, as in the “Slag” series, an essentially worthless object and has the power to transform it into something more than it’s initially perceived to be. It could be a building someone passes by everyday or an old, rotted structure deep in the desert. It could be a piece of dead coral found on the beach or a small fragment of someone else’s “trash”, and by isolating the subject or photographing it in a different context, a photo can encourage the viewer to reexamine what they thought they knew about that subject and look upon it in a totally different way. I was born and raised in Hawaii and like many who live on an island surrounded by 2500 miles of ocean I developed a serious case of “island fever”, the over-whelming need to leave your beautiful little rock and see what’s out there. I arrived in Los Angeles without much, including a plan. In time I developed an interest in graphic design and eventually went on to attend the Art Center College of Design where I earned a BA with Honors. 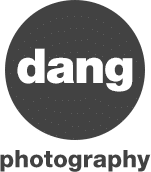 My interest in photography began when I found myself in search of another creative outlet, one in which I no longer had to work within certain boundaries and rules to please a client. Through photography, I am my own client and there are no rules. I’m free to create what I want. Although I like taking photos of all sorts of interesting things, my current photographic interests lie in the world of fine art abstract photography, unveiling hidden images and textures not normally seen by the unaided eye.